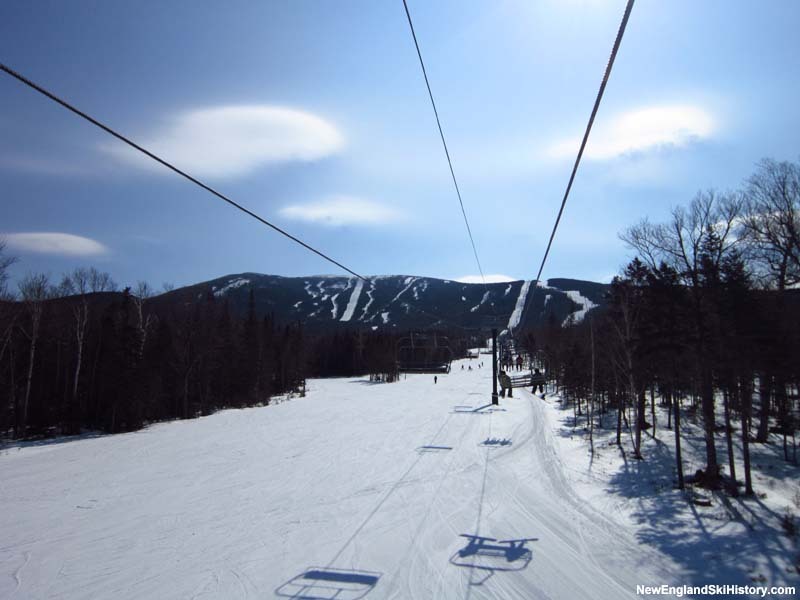 Located in the Rangeley Lakes region of Western Maine, Saddleback Mountain has been home to lift served skiing for over half a century. 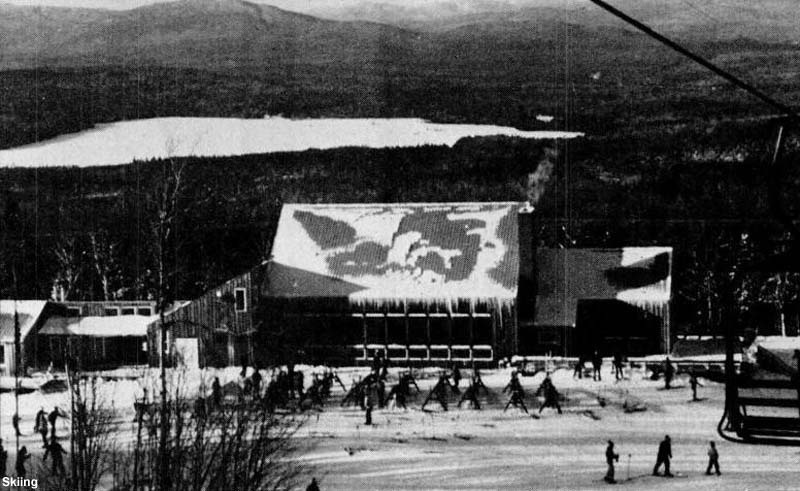 Ski resort fever hit the Rangeley Lakes region in the late 1950s when local businessmen looked to tap into the growing number of skiers in New England. Ski area designer Sel Hannah was brought over from New Hampshire to check out 2,470 foot Bald Mountain in Oquossuc and 4,116 foot Saddleback Mountain near Rangeley. While Hannah saw more potential in Saddleback, both mountains were developed by separate companies. In the summer of 1958, word of the Saddleback development spread all over the northeast. Billed as the Sun Valley of the East, the Rangeley-Saddleback Corp. sought nearly $250,000 via the sale of stock. Using land leased from Hudson Pulp and Paper Co. (which had just shut down its logging camp there in 1957), the group expected to have a chairlift and T-Bar in operation for the 1959-60 season. While Bald Mountain opened in 1959-60, Saddleback's development ran behind schedule. In the summer of 1960, two Hall T-Bar lifts were purchased. Trail building work was in full swing as the fall and T-bar delivery dates neared. Meanwhile, a two story lodge designed by Robert Tieger was being constructed. The lower T-Bar opened on December 31, 1960, serving the Wheeler Slope. The upper T-Bar, serving Grey Ghost and Hudson Highway, opened in late January. Shortly after the conclusion of the freshman season, Saddleback's owners announced the addition of three new trails for 1961-62. These new intermediate and expert trails would be called Royal Coachman, Blue Devil, and Parmachenee. Heading into the 1962-63 season, the ownership received a $50,000 Small Business Administration loan, allowing them conduct general improvements to the base area. 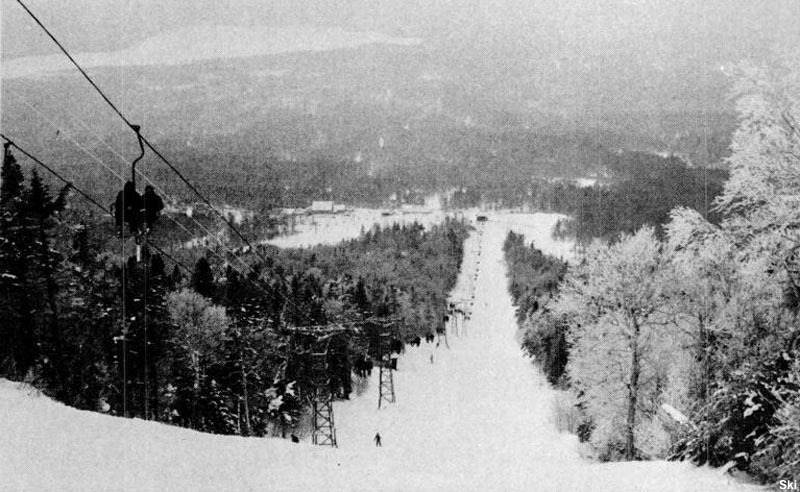 The Rangeley-Saddleback Corp. made a huge investment for the 1963-64 season, as it installed a nearly 1,200 foot vertical Mueller double chairlift. 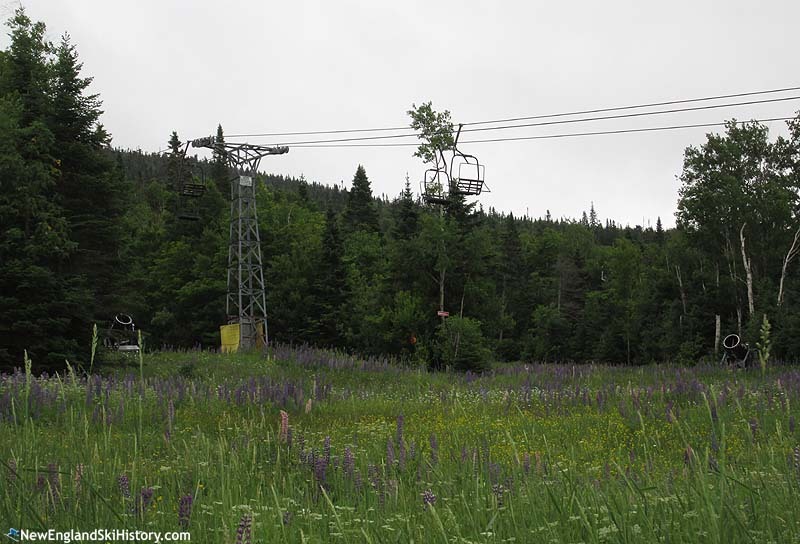 At 4,600 feet in length, it was Maine's longest chairlift (beating out the only other chairlift in the state at that time at Pleasant Mountain). Unfortunately, the following seasons suffered from poor snowfall, resulting in the sale of the ski area in 1966 to Guy Gannett Publishing Company and one of its executives, J. Richard Arnzen. 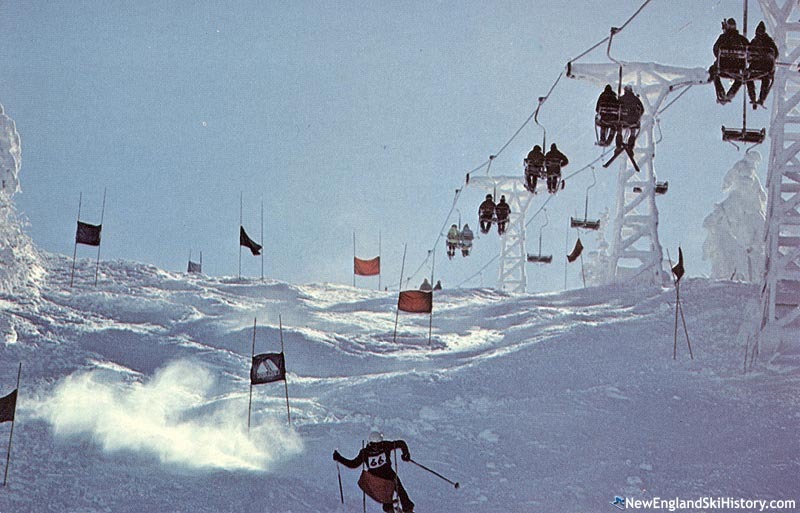 The double chair was re-engineered for the 1966-67 season, providing more uphill capacity. Two new trails debuted as well. For the 1967-68 season, a short chairlift was installed adjacent to a rebuilt lodge, while the novice T-Bar was moved below it. Parking was also reportedly improved. 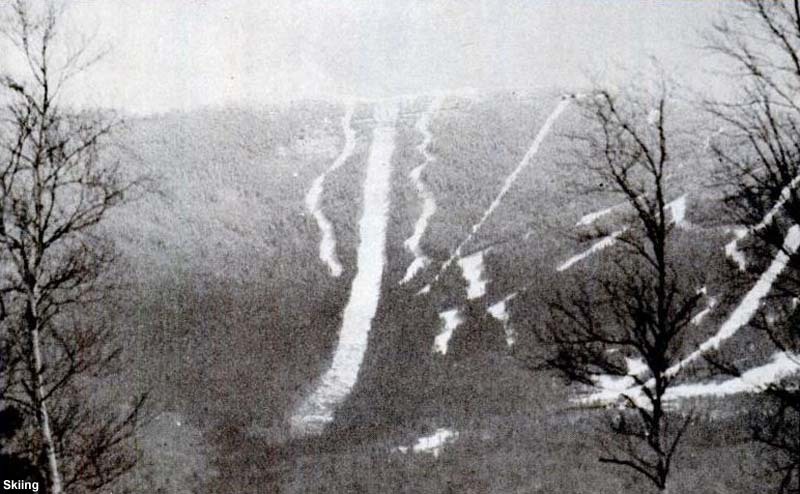 A new lower mountain snowmaking system was planned for the 1968-69 season. Ironically, that winter's early snowfall was so plentiful that the installation was neither completed nor needed. In the fall of 1972, Guy Gannett Publishing Company to the youthful former Sugarloaf and Mount Snow General Manager John Christie's Big Rangeley Corporation. Much of the land was still leased from Hudson Pulp and Paper Company, which offered to finance a large expansion. Later in 1972, Christie briefly looked into purchasing central Maine's Eaton Mountain with the thought of using it as a 'storefront' for Saddleback. Not long into his tenure, Christie oversaw the initial development of the new area to the east of the ski area. In addition, construction started on a new condominium development. The 1973-74 season was a disaster across New England, both in terms of weather and gas shortages. In addition, Hudson Pulp and Paper Company sold much of their holdings in Maine, thus taking away Saddleback's planned investment partner in the expansion. While 1974-75 was a better season, it was not enough to rescue Big Rangeley Corporation. In 1975, Casco Bank and Trust Co. foreclosed on the ski area and sold it to a company called Saddleback Kingdom. For the 1975-76 season, night skiing was added on the Wheeler slope, served by the short double chairlift. In 1978, Massachusetts businessman Donald Breen purchased Saddleback and immediately began investing in it. Also that year, President Jimmy Carter signed H.R. 8803, which started a land acquisition plan for the Appalachian Trail. By the time the 1979 season rolled around, Breen had invested a million dollars in Saddleback, opening the high altitude expert paradise Kennebago Area. Snowmaking was also improved. Snowmaking improvements continued in the early 1980s, including an $85,000 investment for the 1983-84 season. In 1984, a third chairlift was reported as purchased to serve additional novice and intermediate terrain, but was never installed. By the time the mid-1980s arrived, Breen apparently owned over 12,000 acres and was looking to expand the ski area. With the Appalachian Trail corridor running through his land and proposed expansion area, Breen met fierce opposition. Confronted with endless red tape and potential eminent domain losses, Breen held off on his investment as negotiations dragged on for over a decade. Finally, in late 2000 a settlement was reached in which Saddleback agreed to sell a large tract of land, as well as a significant easement on another tract. By this time, Breen was in his 70s and looking to retire. 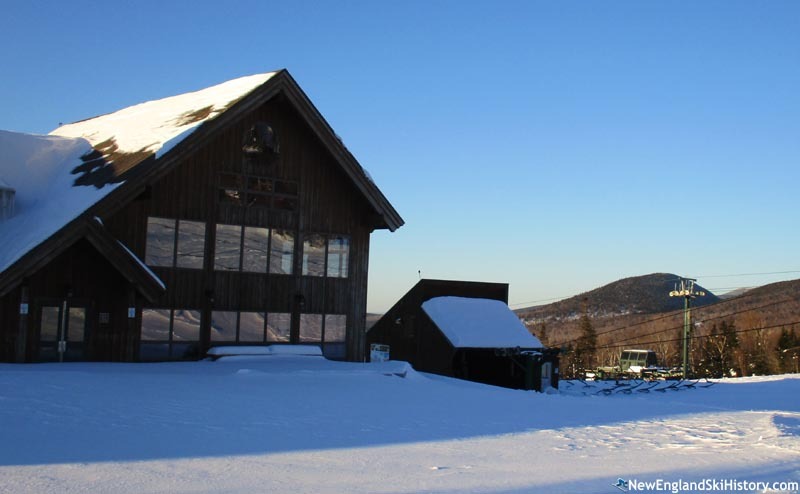 Following the 2002-2003 season, the Breen family announced Saddleback they would not operate the ski area in 2003-2004, as either they'd either sell the ski area or close it. As the fall approached, it looked like Saddleback would indeed cease operating. In September, a retired professor and Saddleback skier named Bill Berry approached Breen and offered to buy the ski area. As a result of that meeting, the Berry family purchased the ski area and the thousands of acres of undeveloped land around it for an estimated $8 million. Following their first season as owners, the Berry family started an aggressive expansion plan. For 2004-2005, the main lodge was dramatically expanded, the main chairlift refurbished, and the lower mountain expanded into the South Branch Area with a new quad chairlift. Dramatic long term plans were also released, involving the development of new real estate and multiple new trail pods and lifts. While the original timeline showed much expansion taking place early on, plans were slowed down a bit. In 2008-2009, the Kennebago T-Bar was replaced with a new fixed grip quad chairlift. In conjunction with a yurt and many new snow guns, the Kennebago area has become one of the most impressive expert areas in New England. On October 11, 2011, the United States Citizenship and Immigration Services approved USA Lifestyles, Inc. as a part of the EB-5 program. Under the EB-5 program, a foreigner can invest $1 million in an approved United States business (which must then create jobs), in exchange for a green card. With the Franklin County, Maine labeled a Targeted Employment Area, the minimum investment is cut in half to $500,000, making participating rural businesses such as Saddleback more attractive. 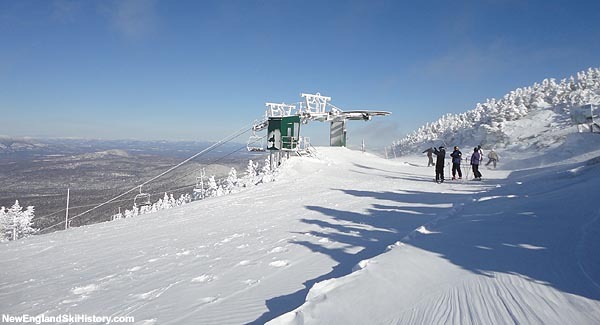 Jay Peak was used as a model for the development of the Maine program. It is not known how much money Saddleback intends to raise, nor when it would spend it. In December of 2012, the Berry family announced Saddleback was for sale. The reported asking price for the 400 acre ski area was $12 million. The family retained the 7,600 undeveloped acres around the ski area. In July of 2015, the Berry family announced Saddleback would close if they could not obtain financing for a new quad chairlift. In September, the family announced they were in negotiations with multiple potential buyers. In December, the family announced the area would likely reopen in January 2016 under new ownership. While snowguns were set up, lift inspections were not conducted, and the area never opened. As 2016 progressed, the base lodge continued to host weddings, but no announcements were made about ski operations. Late in the summer, an effort was started to develop a non-profit cooperative to operate the ski area. While a verbal sale agreement was reported, the transaction was not completed, resulting in the area sitting idle during the 2016-17 season. On June 28, 2017, the Berry family announced it had reached an agreement to sell Saddleback to the Majella Group. While grandiose development plans and a 2017-18 reopening were announced, the area remained idle that winter. Nearly one year after the announcement, the Majella Group CEO was arrested in Australia for alleged investor fraud, leaving the future of Saddleback uncertain. "Great memories of skiing the awesome trails of this beautiful mountain. Skies with my ski racer daughter many times on our vacations in Rangeley. Later skied with grandchildren. Hoping it opens again as we winter vacation in Rangeley and prefer Saddleback over that other mountain....LOL." "Never skied here for a winter vacation, but went up for my sister's skiing competition. I went up the newly built quad to the very top of Saddleback, and almost got lost! The ski patrol was really lax and don't do a good job of marking unsafe trails. Nonetheless, I took the lift again later in the day and found myself in beautful crusing trail called 'America' or something like that. Anyways, I truly hope this mountain has a better future, for I might ski It once again. " "First skied Saddleback in the early 1970s and thoroughly enjoyed it. My Aunt and Uncle lived in Wilton, ME along with my grandparents in Lisbon Falls, ME. In our visits at Christmas we would ski around Wilton, ME at a local slope and work in a trip to Saddleback when possible. In 2015, I took my son and his buddies to Saddleback and we had an awesome time, almost 45 years later! " "I skied Saddleback in January 1968. I had never been on a chairlift. When we reached the top, I couldn't make myself get up and ski off the chair. The equipment had to be stopped so that I could drop off and the operation could proceed. It is a life long memory."